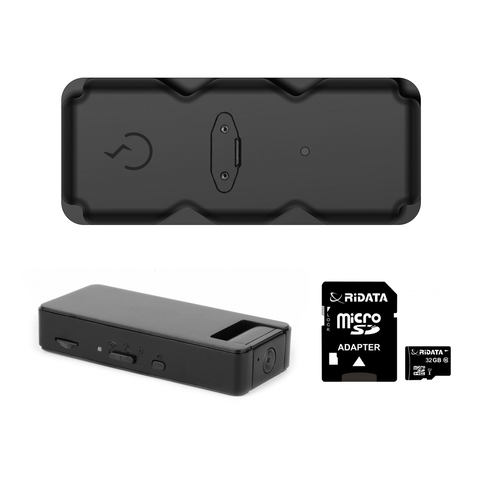 This kit includes the STI_Bolt Asset Tracker for real-time GPS tracking and the Zetta Z16 Wide Angle 720p HD Intelligent Security Camcorder for home, office, and vehicle surveillance. The STI_Bolt Asset Tracker lets you track a vehicle or an asset in real-time over the internet, while the Zetta Z16 lets you record full 720p HD video and audio. You can track the location of a vehicle and record what’s happening behind the wheel at the same time. Perfect for concerned parents and employers, this kit has everything you need when it comes to monitoring your assets on and off the road. The Zetta Z16 Wide Angle 720p HD Intelligent Security Camcorder records full 720p high definition video and audio, so you can see faces clearly from across the room. The camera can even record clear video in low light conditions. You never have to worry about dealing with dark or blurry footage if there’s not a lot of light around. The camera also comes equipped with a fully adjustable 160-degree wide-angle lens. You can position the camera on a bookshelf or on your mantle and you’ll always have a full view of what’s happening in the room. If you want to put the camera in a certain spot, you can swivel the lens without moving the camera until you get the perfect angle. You can rest easy knowing that you won’t miss anything with the Zetta Z16. The camera also comes with a number of customizable features so you can protect yourself against theft in a way that works for you. With motion activation, you can set it up so that it will only record when something moves in front of the camera’s sensors. Or you can use sound activation, so that the camera will only record when something makes a noise in the room. You’ll catch all the important moments without having to waste your battery on hours of useless footage. The Zetta Z16 was designed for hands-off, portable surveillance, providing up to 10 hours of battery life. When you put the camera in standby mode, the battery will last up to 120 days. This means that the camera will sit idle until you tell it to record, making it easy to capture video at a moment’s notice. You can also plug the Zetta Z16 into the wall using the DC power adapter if you want to use the camera continuously. 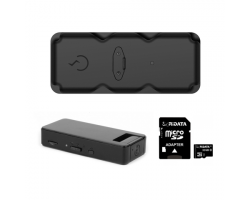 With real-time GPS tracking and HD video surveillance, this kit won’t leave you disappointed. You can keep an eye on your loved ones or one of your drivers as they take a trip across the country. Protect what’s most important to you with the STI_Bolt Asset Tracker + Zetta Z16 Wide Angle 720p HD Intelligent Security Camcorder + 32GB Bundle.